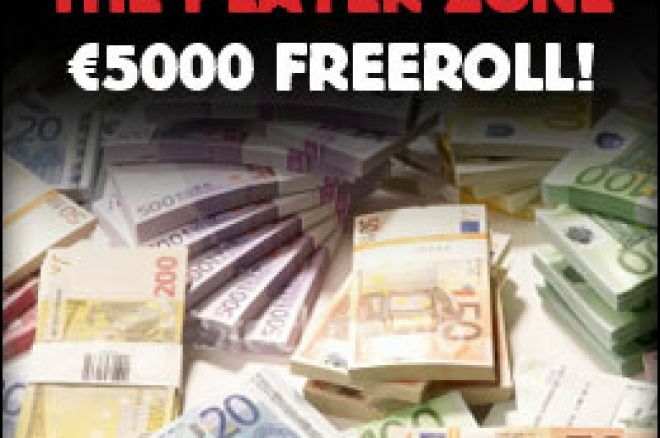 Poker Heaven are having a massive €5000 freeroll next month called the 'TPZ Freeroll'. Every Poker Heaven player that logs into http://www.theplayerzone.com in October will be eligible. No other special requirements are needed! All you have to do in log into The Player Zone and you will be ready to play. The Player Zone is a fantastic concept created by PokerHeaven.com. It provides players with many different features. You can view an activity overview, profit and rake trackers, as well as an in depth buddy list. To log in and become eligible for this freeroll, existing Poker Heaven players should simply go to http://www.theplayerzone.com , enter your nickname, pin and date of birth in the boxes provided and you will then be logged in. There are step by step guides on the site if you have any troubles. If you are not yet a player at this poker room you can download the software here at http://www.theplayerzone.com . This will register you for the massive freeroll! To Qualify: Go to http://www.theplayerzone.com in October and log in. It's as simple as that! All you have to do then is be in the poker room when the tournament starts and you are ready to play!